Successfully managing marketing leads requires strategy, collaboration between departments, and the bandwidth to maintain consistent practices. A deficiency in one or all three of these can render the strongest leads useless. From shrinking open rates to growing opt-outs, this is a problem that you can get ahead of with some smart outsourcing. Without a clearly defined process, leads get stuck, particularly at the top of the funnel and in the gap between a Marketing Qualified Lead (MQL) and a Sales Accepted Leads (SAL). So how do you know if your business could use a hand with managing and leveraging marketing qualified leads? Let’s say you’ve recognized that it’s time to implement a B2B telemarketing program. Where do you get started? The first step is to establish a long-term strategy. Building a successful and sustainable telemarketing program needs to start from the foundation. What are your short- and long-term goals? Who is best qualified to take the lead on this? How can you maintain clear communication between all departments for maximum leverage of viable leads? And most importantly, do you have a qualified telemarketing consultant to help you in this critical stage, to ensure that you are building this program in the best way possible? Your sales pipeline and your ability to hit revenue targets all begin with good lead management. When a B2B telemarketing program fails, it is typically the result of overlooking the essential underlying support structure outlined above. More often than not, when companies build an internal telemarketing or call center to reduce costs rather than grow sales, they diminish the team’s value to the process. In turn, this dilutes the lead management efforts necessary for long-term success. To avoid an unsuccessful telemarketing program, first determine if you have the resources. If you don’t have the existing infrastructure to sustain a B2B telemarketing program, consider outsourcing to a team of experts. They can help you create, implement and sustain a program that will turn your leads into wins. 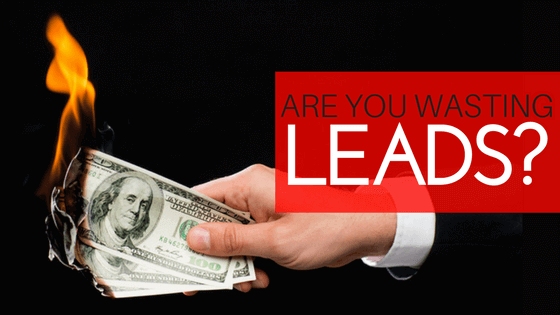 Want to talk about what your business needs for better lead management? Get in touch with us, and we can set up a no-obligation phone call to see if we’re a good fit for each other.